Leather coating is applied to the leather surfaces of your vehicle creating a layer of protection between any food, drinks or dye from jeans on your vehicle’s leather. By coating these surfaces you can have the peace of mind knowing your vehicle’s white leather seats will be safe and protected from whatever is trying to stain them. One common question is, “Will it stop blue jean denim transfer?” the blue jean staining on light coloured leather is a big problem, the answer is no. But it takes much longer for the staining to become noticeable. The best part is, you can simply dampen a cloth with water and it will wipe off. 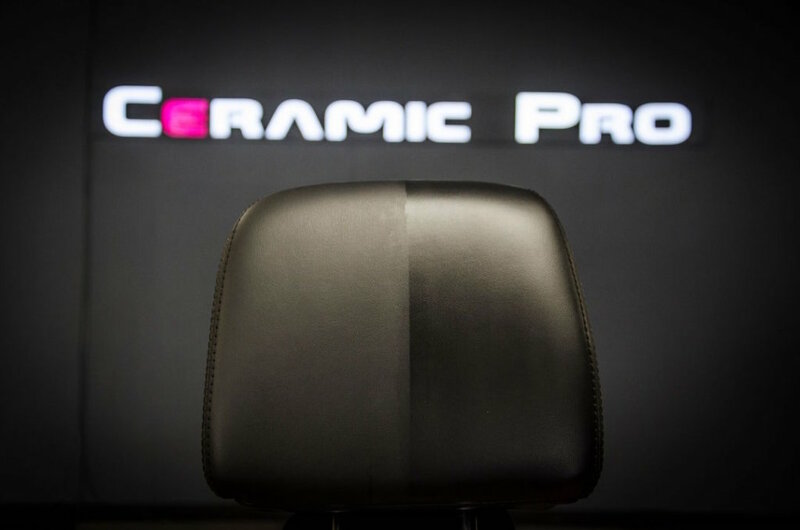 Ceramic Pro Leather makes cleaning lighter coloured leather much easier. Ceramic Pro Textile is a coating designed for all of the fabric materials in your vehicle’s interior. It is designed to bond to all types of fabric (cloth seats, micro suede, alcantara, etc) to ensure that they are protected and easier to keep clean. Ceramic Pro Textile is a great way to keep your carpets, alcantara, floor mats, cloth seats and headliners clean and protected.